The biggest "tragedy of the commons" is the misconception that commons are failures-relics from another era rendered unnecessary by the Market and State. 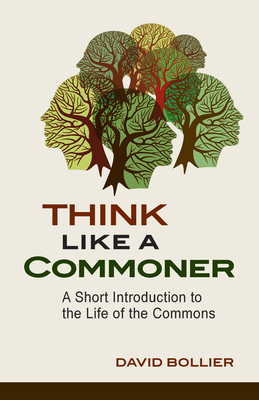 Think Like a Commoner dispels such prejudices by explaining the rich history and promising future of the commons-an ageless paradigm of cooperation and fairness that is re-making our world. David Bollier is an author, activist, blogger and independent scholar who has studied the commons as a transformative paradigm for fifteen years. He is co-founder of the Commons Strategies Group, co-director of the Commons Law Project, and a frequent speaker and strategy advisor. Bollier is an author and editor of six books on different aspects of the commons, including Green Governance , The Wealth of the Commons and Viral Spiral . He blogs at www.Bollier.org and lives in Amherst, Massachusetts.